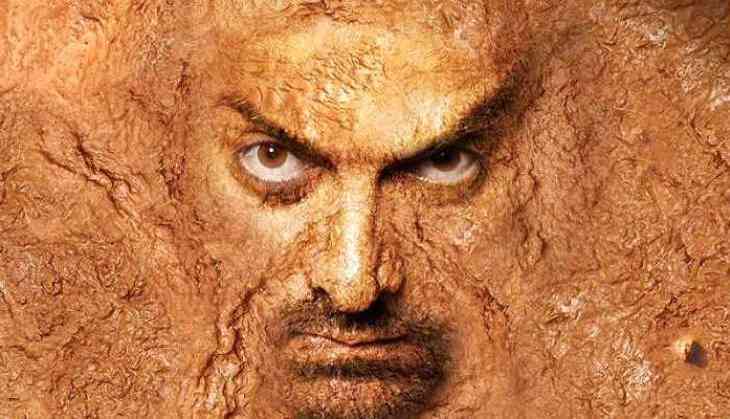 Bollywood superstar Aamir Khan's 'Dangal' has zoomed past the Rs 100 crore mark within four days of its release in China, breaking a record previously set by the actor-producers 'PK'. He is touched by the love shown towards the film. 'Dangal', a story of a wrestler who trains his daughters to become world champions in wrestling, released in China as 'Shuai Jiao Baba' on May 5 which means 'Let's Wrestle, Dad'. The movie released in around 7,000 screens and minted over Rs 120 crore by Tuesday evening, said a spokesperson of Aamir Khan Productions. Reacting to the overwhelming response to the movie, Aamir told IANS over email: 'I and the entire team of 'Dangal' are very touched with the love and affection that our film 'Dangal' is getting in China. I have been visiting Chinese social media websites and reading translations of the reactions. It is truly moving to see such a strong emotional bond that the Chinese have with our film. In the past, Aamir's '3 Idiots' and 'PK' did well in China. In fact, 'PK' was the first Bollywood film to mint over Rs 100 crore in China -- and it had done so in 16 days back in 2015. A biopic of former Indian wrestler Mahavir Phogat, 'Dangal' had also resonated well with the Indian audience, generating over Rs 385 crore ticket sales upon its release in India. Just a month before the movie's release, Aamir and 'Dangal' director Nitesh Tiwari were in China to promote 'Dangal', which officially opened this year's edition of the Beijing International Film Festival.